brony and how? Care to explain? Unfortunately, yes. The one brony I know, I hate because they are, in general, an absolutely obnoxious human being. Not in public, but my brony friends (which I converted). I met a guy on MW2 under the username RainnBoW_Dash7 or something like that, a long with another guy named RainnBoW_Pony7. I got excited and sent a friend request, then realizing I didn't give a proper introduction and they would probably not play a game with me . Screw dat, My Little Pony! And the person on my team was like brony? I think I met one today, but I don't know if he was acutally one, or was just familiar with bronies. I haven't met any bronys. More interested in meeting a hater myself, want to talk to them about it and stuff. I saw someone with a Rainbow Dash hoodie and brohoofed em'. I also discovered three people in my class watch it (closet bronies, though). 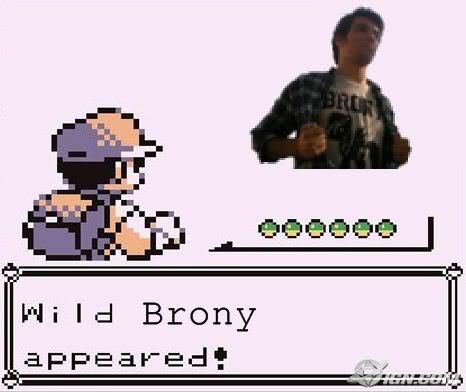 Other than that, I'm always on the lookout now for bronies, but as of yet I haven't had any random encounters. Still, I will keep up the search. I met a few at Emerald City Comic-con a couple weeks ago (the one with Tara Strong and the giant Twi). It's pretty cool meeting them, and wearing a brony shirt helps with that. We have quite a few bronies spread around the Seattle metro. area, and some of them randomly meet other bronies from time to time (Seattle beeing a geeky city could contribute to that as well). My college, however, has only a few. I know several in my school, but the most random surprising one was at my job. I was working register and this girl maybe 13-16 comes up with her mom, and she was wearing a Rainbow Dash shirt. I looked her in the eye and said "That shirt is 20% cooler than any other shirt I have ever seen." She said thank you and shot her mom this kinda smug smile. I keep hearing about more that I know but didn't know were bronies from a nonbrony friend at another school (she won't be able to hold out much longer) She was talking to her friend about how her other friend (me) was obsessed with this weird show for little girls even though she claims to be tomboy, and her friend goes "Wait. She watches My Little Pony?" "Tell her that she's awesome." I wish my stories were as awesome as these. To be honest, I'm a converted brony myself, thanks to my friend. Still gotta thank him for that. Anyway, any time it happens, it's usually a random encounter in a store or something lol. Now I begin my search for bronies! Oooh, that sounds cool, do you have a pic of it we can see? In Octavia's hall or somefink? Sure, I put it on now: Here's the link to the topic. Just saw a brony on the buss today, on my way home from school. I never got to talk to him, but I wanted to give him a brohoof . He wore a pinkie pie t-shirt. Sadly, I am still a closet brony. Only my friends, which is like 7 people, and my sister, her boyfriend, his dad, yeah. So about only 10 people know. But my friend Tanner is on here. He is also a brony. I converted him. Exactly.  Just speak of it like anything else, without fear or secrecy and somepony will approach you and if not, they may be interested in what you're talking about. I was on a bus in LA and when we passed an mlP billboard the person infront of me lifted his head and looked at it while we passed it. Could be a brony, I never confronted him.